For decades, the Mamilla neighborhood of Jerusalem was a deserted no-man’s land just outside the city’s ancient walls and the iconic Jaffa Gate. 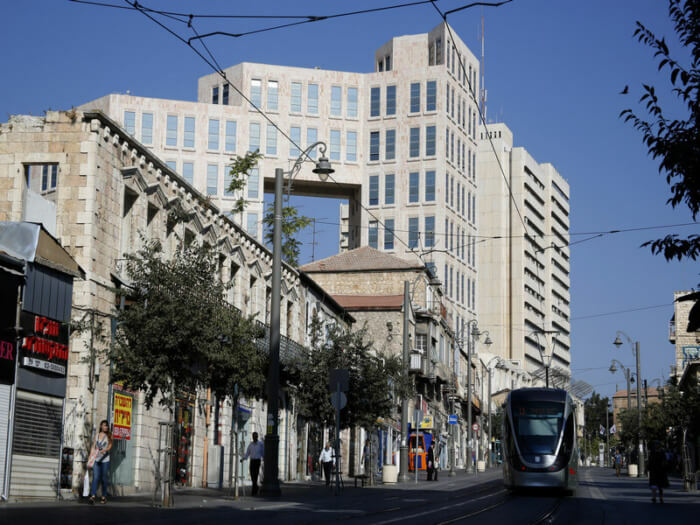 Eventually, world-renowned architect Moshe Safdie was tapped to design a whole new quarter, culminating in the Mamilla Hotel, as an anchor to the city’s most upscale pedestrian shopping mall. 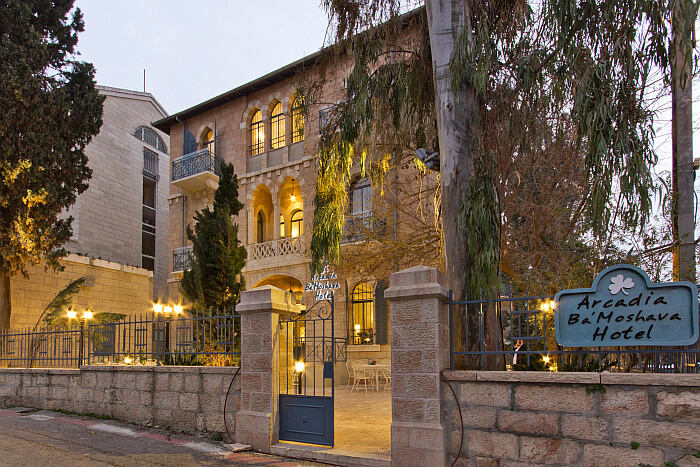 The hotel’s avant-garde interior design made a big splash when it opened six years ago, and it quickly climbed the ranks of luxury establishments, gaining recognition as the only hotel in Israel to make Conde Nast Traveler’s Gold List for 2016. That same year it was named the best hotel in the Middle East by the Grand Prix Villegiature. Currently, it is a member of Leading Hotels of the World. The lobby impresses, with Jerusalem stone interior walls and “oases” seating arrangements lending touches of intimacy. It is in the guest rooms, however, where the “Wow” factor really comes into play. 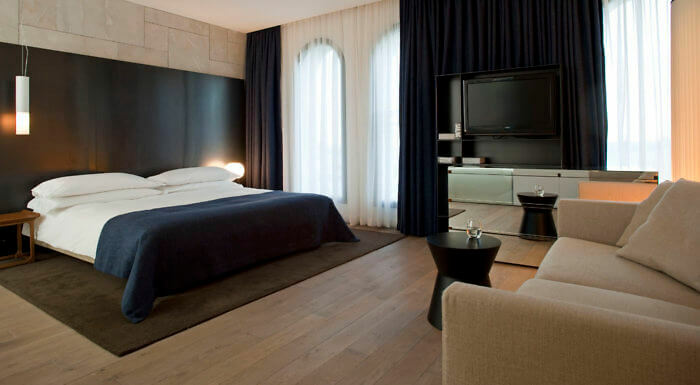 The king-sized beds have tall black metal headboards, with lighting emanating from behind. The lush floor-to-ceiling drapes extend upwards from the parquet wooden floors, not often found in Israel. Particularly striking are the bathrooms, which are visible from the bedrooms through glass walls that — with the touch of a button — turn opaque for privacy. The bathrooms are equipped with deep, rectangular soaking tubs and separate shower stalls with raindrop shower heads, while the oversized towels are as soft and thirsty as imaginable. Deluxe amenities are by L’Occitane en Provence. The coolest thing, though, is the picture-in-mirror TV screen in the bathrooms of the suites. 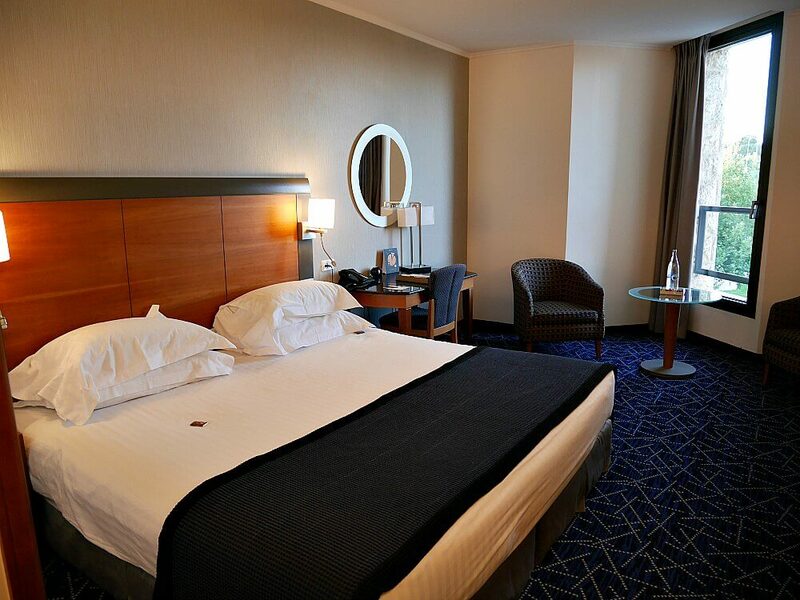 All guest rooms come with Nespresso machines, smart LCD televisions with cable channels, in-room safes with internal electric sockets for laptops, electronic minibars, bathrobes and slippers, and gifts of mineral water and sweets. Free high-speed wireless Internet service extends to the rooms as well as the public areas. There are ice machines on every floor — something else that is not standard in most Israeli hotels. 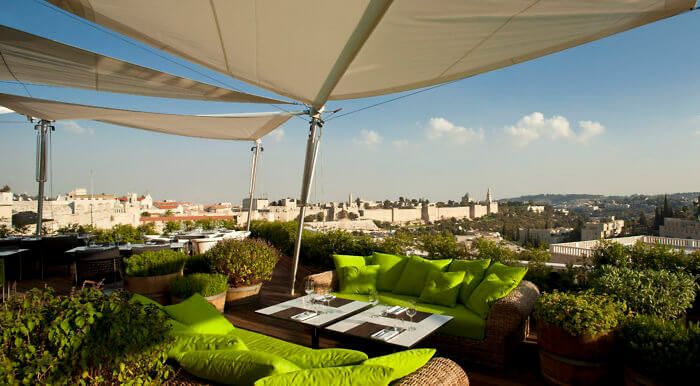 In addition to the lavish breakfast buffet that is included in the room charge, the Mamilla Hotel’s dining options include the Rooftop, a gourmet restaurant with a stunning view of the Old City, and the Happy Fish, whose name says it all In addition, there is a classy lounge named the Mirror Bar, which is a popular nightspot for Jerusalem locals as well as hotel guests. Remarkably, the Mamilla Hotel has a its own team of sommeliers, who serve not only restaurant patrons but also the Winery — a boutique that stocks only Israeli wines. But with more than 60 wines from the best of the country’s more than 300 wineries, there are plenty of new vintages to discover. Guests may order a private wine tasting session any evening; on Fridays the wine “flights” and explanations are free of charge. Finally, it is worth noting that the hotel does an admirable job when it comes to making virtually everywhere on the premises wheelchair accessible, including specially adapted guest rooms. Published rates: $450-$1125. Check rates and book through Expedia or Travelocity. Text by Buzzy Gordon, who was a guest of The Mamilla Hotel for purposes of review. Photos courtesy of The Mamilla Hotel.